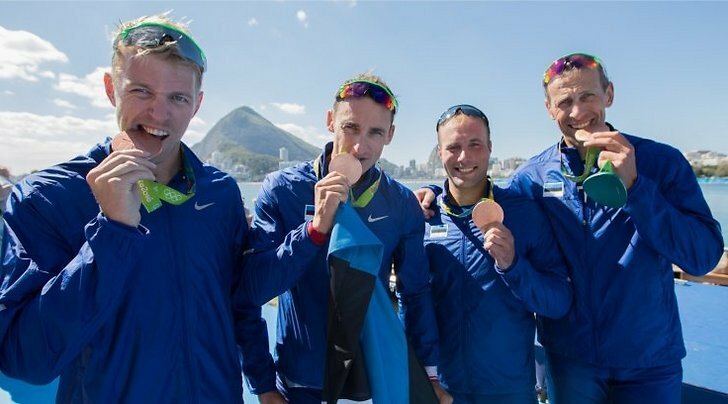 Estonian Rowing Federation is the sole representative of Estonian rowing recognized by the World Rowing Federation (FISA) and Estonian Olympic Committee. Estonian Rowing Federation is a non-profit public association for charitable purposes that connects all parts of Estonian rowing in order to promote growth and coordinate activities. Estonian Rowing Federation oversees clubs, coordinates competitions but also plays a big part in promoting public interest and accessibility of this sport. Currently, there are eleven rowing clubs – two in Tallinn, Pärnu and Tartu, one in Viljandi, Narva and Aidu. By now, rowing has become a great part of Estonian schools’ sports culture and popular among sports enthusiasts and masters. On December 8th, 1989 current Estonian Rowing Federation was recognized as a legal successor of then Estonian Rowing Federation established on 28th of July 1938. On June 27th, 1992 Estonian Rowing Federation was recognized as an official FISA member. Federation’s main goal is to promote a healthy lifestyle in Estonia by evolving and introducing rowing on different levels from elite to para-rowing. Kaspar Taimsoo, Allar Raja, Andrei Jämsä ja Tõnu Endrekson – M4x Bronze in Rio.